meeting my Korean family has caused me to think a lot about things i never thought about before, things i never had a reason to think about. suddenly having a little brother who could easily be your twin is a strange experience for a girl who grew up without knowing anyone who even vaguely resembled her. we look the same, we have the same mannerisms and facial expressions, we like a lot of the same things. all of this causes me to really think about heritage and genes and bloodlines. it is no secret that South Korea has been, to put it frankly, a country well-known in the world of baby exporting. i don't have numbers or statistics to share, but if you compare the number of international to domestic adoptions in Korea, i think you would be shocked. i had a hard time understanding this during my time in Korea. why were there so few domestic adoptions within the boundaries of the border? coming from a country like America, where everyone i know has their own "adoption story," i was baffled. the answer came to me slowly, after the culmination of a long string of experiences during my year in Korea. for Koreans, it all comes down to bloodline. your family, the ones who you share genes and blood with, the ones who you look like - they are of the utmost importance. this fits with the Confucian society of Korea, where respect/honor for your elders and ancestors (both living and dead) is an important core virtue. (for more on this, see my post on Seollal.) this is also why child relinquishment is such a dishonorable thing in Korean society, why so many Korean mothers are currently living with the deep, dark secret they can't entrust to anyone, with the picture of their relinquished child forever embedded deep into their mind's eye. this is why my brothers didn't know of my existence until 2010 -- 24 years after i was born. I have been thinking about you lately and felt that I needed to send a letter to thank you for the care you provided me during my first few months of life. I understand that you may not remember me because you have taken in and cared for so many other children. I would not expect you to specifically recall a small baby that you only had for a few months 25 years ago. Let me tell you a little bit about my life. I was adopted to a loving family in America back in 1987 when I was only 6 months old. I have 3 brothers and 1 sister here and they are wonderful. I love my family so much and they have been so good to me. I graduated college in 2009 with a degree in business management. After graduating, the American economy was very poor and I was unable to obtain employment. I ended up getting a job in Cheonan, South Korea, teaching conversational English to elementary school students. I lived there for all of 2010. After I had been there for 9 months, I was able to meet my birth family in Seoul for the first time since 1987. It was a very special time for us. I lived with them for about 2 weeks and visited them on the weekends until I returned to America in 2011. I have two Korean brothers who are close to my age and I am very happy to be able to know them now. We have a difficult language barrier, but we have been able to communicate decently well. My younger Korean brother came to America last year to study English so that we can communicate easier. I am very thankful. I am now working at a university in America in the office of the academic dean. It is a great job that I love and it pays well. I am also a full-time graduate school student. I will graduate with a masters degree in business administration after a couple of years. During my time in Korea, I learned about how important bloodline is to Koreans. I believe this is why so many Korean babies have been adopted to other countries -- because Korean people have difficulty welcoming someone into their family who does not share the same blood as them. This is why I am so thankful for you -- because you have cared for 100+ babies in a culture that finds this strange. You have spent your life making a good life possible for many young children -- how can we thank you enough? I hope that one day I can thank you in person. You deserve a high honor and reward. Omma, thank you for all you have done for me. Thank you for caring for me when I cried and changing my diapers and feeding me during the night. Thank you for taking me in even though we did not share blood. Thank you for being my omma when I did not have an omma. Everything in my life is possible now because of you. I hope that one day we can meet and I can thank you in person. Until then, please know that you have not been forgotten. Please know how thankful I am for you. 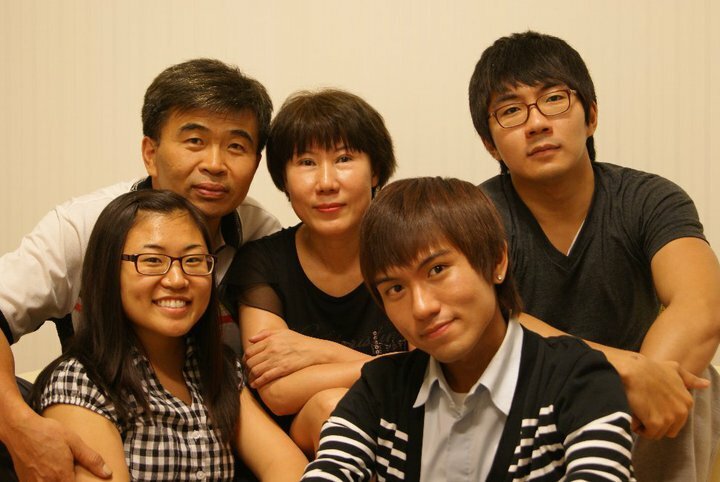 I am attaching pictures of me with my American family and my Korean family. I hope you can see how happy I am now. Thank you again. If you have time, please send me a letter or pictures of you. i hope that one day you will have the opportunity to thank your unsung heroes.